The winter maintenance work is in full swing, especially in the cattery. We are undertaking an extensive upgrade to the pens, both inside and out. 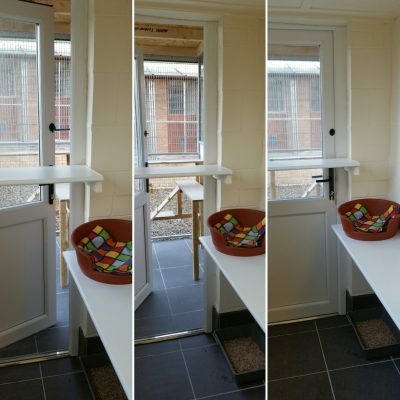 New tiled floor through out, roof, bespoke galvanised outside fencing, pvc double glazed doors with new shelving inside. Then a fresh lick of paint to give a lovely fresh feel. The final touch is brand new fleece bedding for everyone to snuggle into.